The South African province of Kwazulu-Natal is home to tens of thousands of orphans, mostly as a result of AIDS. This is a story follows a remarkable project to give them back their childhood. In the South African province of KwaZulu-Natal, one of the most popular children's games is 'Funerals'. 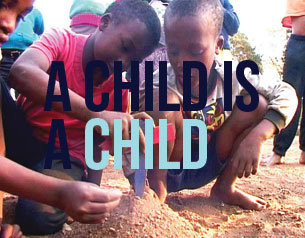 Here, one in five children is an AIDS orphan. They live alone or in orphanages, forced to grow up before their time. This unique and uplifting film follows a project aimed at giving these kids back their childhood. It chronicles their experiences as they come together to record a CD. The plan throws together boys and girls from different backgrounds, confronting stereotypes and allowing them to get to know each other. And what starts out as a community project soon becomes a voyage of self-discovery for all the children involved. "We live alone, myself and the little one", states Mli. He's barely 14 but every morning, he lights the fire, cleans the house and prepares breakfast for his little brother before they both set off on the two hour walk to school. When their mother died several years ago, many people tried to get them to leave their home. "People would try and scare us. But we were not ready to leave mother where she was buried." In contrast, wealthy and white Chivaughn lives with her family in a beautiful house in the district of Queensborough. She has never met an AIDS orphan before. "I haven't really experienced homes where there aren't parents." Chivaughn hopes working on the song, moulded along the lines of Band Aid's 'Do They Know It's Christmas? ', will enable her to meet children from other backgrounds. It's decided they will record a song about childhood and home - "something that would bring everyone together." On the first day of the project, the children are all excited and nervous. "I was scared because I didn't know who else was gonna be there", admits one. "We didn't know if it would work because we didn't know each other." But these fears soon vanish. "Once we heard the rhythm, we knew it would be a lot of fun. We kept singing and singing until it came together bit by bit." At the rehearsals, Mli naturally bonds with Chloe, another orphan who lives in a children's home. A few weeks later, he goes to visit her. "I think he wanted to visit me in particular because it's different to where he stays", she proffers. He bombards her with questions and can't believe the orphanage is so welcoming. "I think I would like to live there", he confides. "All the children are happy and carefree and nothing hurts them." But although Chloe seems so happy, she confides to often feeling alone. "Sometimes I get frustrated when there is a function and mums and dads come. It's like gosh, now I don't have anyone!" Recording the song provides a welcome distraction and she's delighted to see her photo on the album cover. The children produce a CD of the song they've been rehearsing and take it back to their communities. "I enjoyed everything about this project, especially making great friends like these", declares Chivaughn. The scheme has also opened the children's eyes to another world, showing them how others their own age live. "I couldn't believe Mli lives by himself and provides for his brother", states one. "It made me realise how much I take for granted." But it's on Mli that recording the album has had the most profound affect. "The song changed me", he confides. "It was the part where it said 'A child is a child even when there are no parents.' It made me feel free as a child." After years of defying advice to seek help, he decides to move out of his mother's house and go and live with his grandmother.